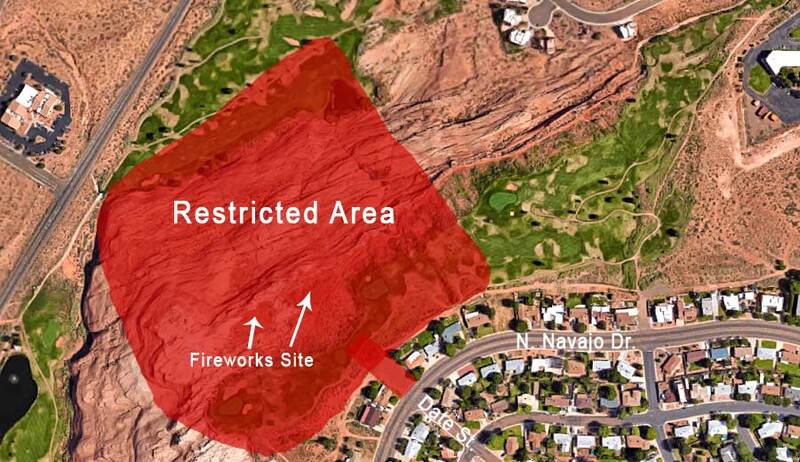 The Map Below shows the fireworks launch site and prime viewing locations. 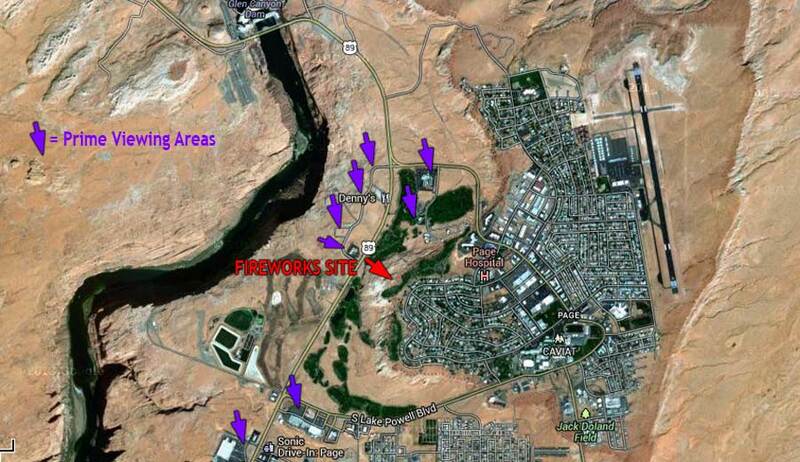 PURPLE ARROWS are Viewing Locations, RED ARROW is the Launch Site. We would like to thank: The City of Page, Arizona; Page Fire Department; Page Police Department; Page Public Works Department; The Days Inn; and of course Fireworks Productions of Arizona.